And the Gracik Makinney Group is ready! “It’s just a busy and exciting time here at Gracik Makinney Group, and with a surprisingly successful 2009 behind us, we look forward to increased consumer confidence and an out of sight 2010!” Gracik said. 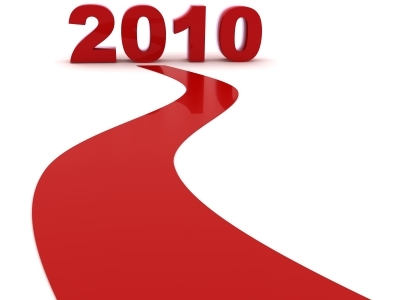 May we all be successful in our 2010 resolutions! The government has continued to put more degrees of separation between the appraisal and mortgage industry. Mortgage companies are required to hire third party appraisal companies who in turn farm the business out to local appraisers without knowledge of who ordered the appraisal. The lender initially does not know who is performing the appraisal. Lenders sign affidavits that they did not have direct contact with or attempt to influence the appraiser in any manner. Appraisers sign affidavits that they were not contacted by the lender or influenced in any manner. This translates to a slower appraisal process. Lenders now have there own appraisal review departments to review the quality of the appraisers work. Another speed bump on the road to loan approval and a closing the mortgage. The government now requires lenders to wait until the borrower signs the lenders Good Faith Estimate and Truth In Lending disclosures before an appraisal may be ordered. Lenders no longer allow the mortgage loan officer (the point of contact with the consumer) to generate these compliance documents. There is a one to two day delay to get these documents into the consumer's hands and again, the appraisal can no longer be ordered until they are returned. The government simplified and standardized the Good Faith Estimate to appear the same regardless of lender. To simplify the process for the consumer the new RESPA law does NOT allow a lender to break down a line by line itemization of closing costs. The closing costs are now summarized as "lender fees" and "other fees" which would be third party fees such as appraisal, credit report, flood certification, tax service, title fees, transfer taxes, and recording fees. In the short first 20 days of this young year I have had over a dozen requests for a line by line itemization of the fees, and my industry may no longer provide that which has the capacity to raise confusion. The bottom line is the new RESPA laws are intended to protect the consumer against inflated appraisals and loan related fees, however they are adding time to he approval and funding process. Where as two years ago we could close loans in 3 to 10 days, and 10 to 30 days last year, I am advising buyers, sellers, realtors, and attorneys to allow 40 days for loan approval and an additional 10 to close for a total of 50 days. Can and will we close some loans sooner? Yes. Will some loans take longer for a variety of reasons? Yes. We still need to live these new RESPA law changes to know them. However, I believe it is prudent to give more space for the speed bumps the government has instituted for the consumers protection. Another strong piece of advice I have for the home buyer is to discuss what the various closing costs, prepaid items, liquid documented cash for loan approval, and cash needed at closing will be and what can shape those numbers. Consumers armed with this knowledge during the pre-approval / home searching phase will confidently sign and return compliance documents required for the lender to order the appraisal much faster. That in turn will ensure a faster approval and closing. My last piece of advice is for the consumer to provide the lender with all of the documents needed for final loan approval up-front during the pre-approval stage. Potential issues can be identified and ironed out much quicker leading to a smoother and faster loan approval process as well. I have seen many a consumer shocked to discover what mortgage lenders require which is actually dictated by the secondary mortgage market - Fannie Mae, Freddie Mac, and Ginnie Mae. Get started now, and happy home hunting! The various graphs below will give you a visual report of Elmhurst, IL market statistics gathered using data from MRED*. The graphs are updated on a monthly basis so it’s easy to see the latest real estate market trends in Elmhurst. Please feel free to contact me if you have any questions. I make no claim as to the accuracy of this data and have provided this data as a service to others. Uncertainty and restraint are the order of the day in this economy, and that sense of caution is reflected in home owners’ return on their investment in remodeling projects, according to REALTORS® in 80 metropolitan markets surveyed by Remodeling magazine for this year’s Cost vs. Value Report. The majority of the 10 remodeling projects with the best return on investment nationally are a testament to pragmatism. Six of the 10 projects—siding and window replacement using a variety of materials—involve home maintenance that costs less than $14,000. Two more—adding an attic bedroom or a wood deck—reinforce the notion that boosting the amount of livable space in and around your home will attract buyers who are increasingly looking for more room for their buck. In past years, converting an attic into a bedroom was a project that landed squarely in the middle of the rankings, but this year it leapfrogged over other categories into third place. It’s an admittedly pricey project, with an average national cost of nearly $50,000, but it generates an average national return of 83.1 percent and a better-than-100 percent return on investment, according to REALTORS® in 14 of the 80 cities surveyed. Adding a wood deck is much more economical, with an average national cost of slightly more than $10,000. Its average national return is 80.6 percent, but in six cities, its return is estimated at 100 percent or greater. The six siding and window home maintenance projects in the top 10, combined with the project with the biggest return on investment—a mid-range entry door replacement—prove something that every sales associate tells sellers throughout the country: First impressions count. A mid-range entry door replacement, a project new to the survey this year, is the only home remodeling project that REALTORS® expect to generate a full return for the money nationally. It’s the least expensive of the 33 projects included in the analysis, yet it brings a whopping average national return on investment of 128.9 percent. It generates a better-than-100 percent return in 48 of the 80 cities, according to REALTORS® surveyed, and in several cities, its return is estimated at more than double its cost. Overall, home owners recouped an average of 63.8 percent of their investment in 33 different home improvement projects, according to REALTORS® who responded to the survey. The expected cost recoup was generally down from previous years in line with the drop in home prices nationally (see page 23). The return on home owners’ investment in remodeling projects has declined an average of 3.5 percentage points between 2008 and 2009. That’s down from the 2.7 point drop between 2007 and 2008 and much less than the 5.5 point drop between 2006 and 2007 and the 10.5 point drop from 2005 to 2006. Zooming in from the national to the city level, Honolulu sits atop the rankings for having the most projects—18—that generate at least a full return on investment. In Honolulu, adding a wood deck, completing a minor kitchen remodel, adding fiber-cement siding, and replacing an entry door bring the highest returns, ranging from 121.1 to 195.3 percent return on investment. San Francisco is closest behind with 10 projects generating at least a full return on investment. Adding a master suite, doing a minor kitchen remodel, and replacing an entry door have the biggest returns, producing between 112.2 and 119.1 percent return on investment. Working with sellers who have some—but not unlimited—cash for upgrades? Here are budget-minded enhancements you can suggest to make their home stand out. "Potential buyers do open kitchen cabinets and look inside," says Morrissey. "Home owners can add rollout organizing trays so when buyers peek in, they feel like there’s lots of room for their stuff." When a wall separates a kitchen from a family room, suggest cutting out an opening to create a breakfast bar. "In one home, there was a cutout in the wall between the kitchen and living room," explains Matthew Quinn, a sales associate at Quinn’s Realty & Estate Services in Falls Church, Va., who handles estate and real estate sales for family members whose loved ones have passed away. "We left the structure of the cutout, added an oversized granite breakfast bar, and put chairs in front of it. That cost about $600." "With a dated bathroom, I recommend putting in a new medicine cabinet for $100 to $150, light fixtures for about $100, a faucet for $50 to $75, and a vanity for $200 to $300," says Wilder. "And instead of replacing the tile, the existing grout can be lightly scraped and regrouted, which leaves a haze that can be buffed out and will make the tile look brand new. Also install glass shower doors. A French door adds a lot of panache and elegance for $250, and people will notice the door, not the tile. With all that, you’ve done a bathroom remodel for $1,000 to $2,000." "If home owners have cement block or poured concrete walls in the basement, suggest they have a contractor fill in cracks with hydraulic cement and then paint with waterproofing paint," recommends Wilder. "They can then add a top coat to add color. They can also paint the basement floor with a good floor paint, which spiffs it up. The basement may not be finished, but it’s no longer a damp dungeon." Download a PDF version of these 10 big-impact, low-cost ideas.